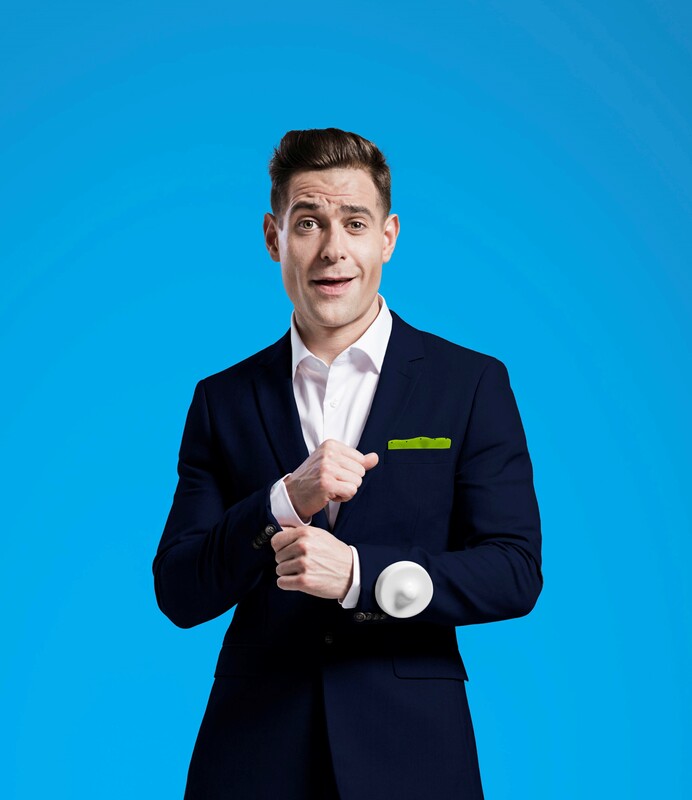 Carl Marsh: We all know of your character Lee Nelson, even some might actually think he is a real person but what sort of experience do you want the audience leave with after seeing the show? Simon: Good question, funnier is what they will leave with. It’s part of the mini-tour, which I’m sure you know, that’s part of the Lee Nelson tour. The Serious Joker tour. I think this is something like the fourth leg of the tour. The character has to evolve a little bit each time because when he first started, he was absolutely ‘bang on the estate’, all his reference points were his kids, his family, the estate, his nan, and then obviously, as this has gone on, I feel that I can do what I want with him. It just felt right having him done three series on TV and three times on Live at the Apollo, and then being pretty well known to go actually, “Let’s give him a little bit more money.” He’s now wearing a suit. It still has got its security tag on, so I don’t think any money was exchanged for the suit. At least he understood that if he’s going to do a gig in front of people, it’s best to look as smart as possible, and went along to TOPMAN, walked in, and ran out. Carl: I hear it going to be an interactive night, so do you get the Welsh humour more so than the English humour? Simon: Yes. Look, you don’t obviously get to serve every single joke in every place, but the Welsh vibe is always an up for it vibe. They’re a laugh, they take it nicely. Different crowds have different vibes. Obviously, not all of Wales is going to be the same. The vibe in Wales is great fun. They’re up for interaction, but they don’t want to dominate, and they want to be part of it and make it a nice night. Without it sounding a little patronising but it does seem like they’ve got a great sense of humour there. They’re just happy that someone’s bothered coming to Wales. Carl: [laughs]. Have you always wanted to be a comedian? Simon: Class clown, definitely, always making people laugh. My dad has always made people laugh. I never thought of it career-wise until I was at medical school, and then when they say laughter is the best form of medicine, it isn’t. I can prove that now with a couple of patients who slipped away despite my best efforts just cracking gags around them (laughter). But yes, I was thinking about it then (at medical school). After being a junior doctor, I said to myself “Let’s just go for it, let’s do this thing”. I then didn’t apply for a job as a medic, and then started off. I didn’t have a clue what I was doing. Then eventually one of the agents got interested in me after I was on with Harry Hill. Then I’m in the world of stand-up. I didn’t even really know how, all I knew is that I wanted to be funny, and I wanted it to do with characters. I got an early break with something on Channel Four, and then it kind of went on from there.